A duck or goose’s vocabulary might sound limited to us, but they never make a sound that doesn’t mean something to them. 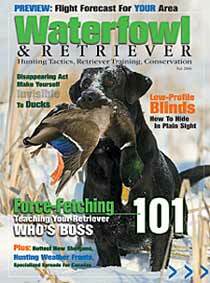 Calling incessantly is the waterfowler’s No. 1 sin. While some situations absolutely demand aggressive calling — for instance, on public land where you’re competing with lots of hunters for the same flocks — your calls will be most effective the less you have to use them. Why? First, birds rarely chatter constantly when they’re on the ground or water. And when they do, they’re usually not honking or quacking for all they’re worth. Second, if you call aggressively the whole time a flock is working your decoys and the flock starts to break off, you’ve got nothing in reserve to excite the birds into returning. Mastering your calls is the first step to becoming a proficient caller. The better you can blow each note, and the more notes and sequences you can learn, the more confident you’ll be using fewer of them. Inexperienced callers often overcompensate by blowing longer and louder than they should. A duck or goose’s vocabulary might sound limited to us, but they never make a sound that doesn’t mean something to them. It’s up to you to learn those notes and know how to use tempo and inflection to emote meaning. In other words, don’t just make random sounds; think about what you want to say. All this can’t be mastered in a matter of days or weeks, so don’t wait until right before the season to start practicing. To judge how birds are reacting to your calls, you have to know how to read their body language. A flaring flock is obviously telling you something’s horribly wrong, but there are subtler signs every good caller looks for. Let’s say you see a flock of geese 200 yards out. Their wingbeats are constant, and they’re looking straight ahead like they know exactly where they’re going. You start calling and waving your flag to get their attention. Nothing changes, so you mix it up, perhaps clucking and moaning, maybe stepping up the intensity. All of a sudden you notice a slight variation in one of the birds’ wingbeats, maybe a different head or neck position or a bit more of its back briefly showing. Bingo. That goose just told you it liked what you said. Now you can forget the flock and focus on that one bird. While not sounding like a broken record, you pour on more clucks and moans. It starts to waver again, then its neck turns and it breaks out of formation. Whether it comes by itself or brings the whole flock, you’ve just employed a powerful calling tool: reading body language. Pay enough attention to ducks and geese in flight and you’ll learn all sorts of useful information. When a duck cranes its neck or has an irregular wingbeat, it’s looking for a place to set down and is prime for calling. When a flock of ducks is flying straight, wingbeats and flock formation uniform and unchanging, there’s probably nothing you can say to turn them. Like everything about calling, success comes by paying attention to details. After you’ve turned a flock, it’s time to tone down the intensity. You want to keep the birds interested and coming your way, but by saying as little as possible — or better yet, nothing at all. If they start veering off course, then it’s time to pick up your tempo and intensity and bring them back in line. The trick is to call as soon as you see their flight path deviate but to give them only whatever’s necessary to get them back on that proverbial string. There will be times when waterfowl will turn away every time you lay off the call, in which case you’ll need to keep up a steady conversation. Most times, however, keep aggressive calling in reserve for when the birds break off and seem intent on leaving. There are only two times you should call to circling birds. One is when they’re downwind where, were they to turn immediately and lock up, they’d glide right into your landing zone. Because birds almost always land into the wind and tend to turn on the first couple notes they hear, it makes no sense to hit them when they’re upwind or crosswind. Make it as easy for the birds to commit as possible. Ducks tend to turn on a dime, so your timing is critical. Being larger birds, geese take a little more setup time, so call when they’re just starting to turn on the downwind side. Otherwise, only call if the birds start to break away. Then your response needs to be immediate and sharp. Be even a few seconds too late and you’ll never bring them back. It’s best if the birds don’t circle at all, locking up and coming straight in instead. Circling enables waterfowl to pinpoint flaws, to see the decoys aren’t moving or you aren’t hidden as well as you should be. How can you reduce the chances of this happening? By letting them slide. Let’s say you’ve turned a crosswind flock and it’s heading right at you. Keep calling and it will likely end up straight overhead but out of range, perfect for picking apart your spread. Instead, lay off your call and let the flock drift downwind of you — the stronger the wind, the farther downwind the birds need to be. There’s a fine line between calling enough not to lose them, and calling too much so that they fly straight to you. When you’ve judged them to be far enough to where they can turn into the wind and lose enough altitude to land on their first approach, then start calling in earnest. When waterfowl are approaching from downwind, you have to judge their rate of descent and decide if more or less calling is needed. If they’re coming on strong, keep calling to a minimum. If they aren’t dropping fast enough, try calling more excitedly to bring them down sooner. 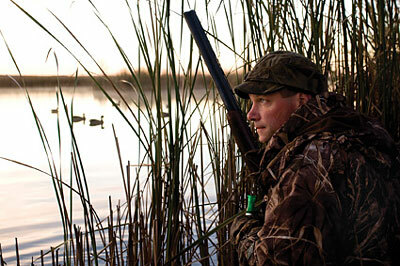 Knowing how to work waterfowl is what makes calling so much fun. It’s also what separates good callers from mediocre ones. Remember these tips and your success will soar.